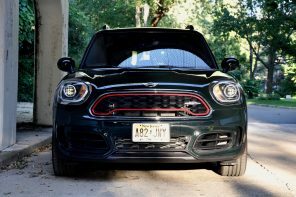 The factory JCW MINI is a dichotomy of character. 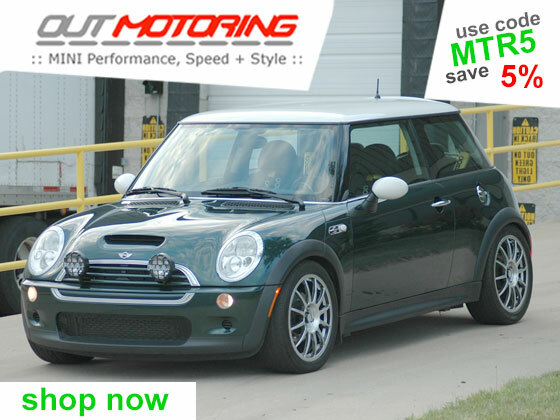 On one hand (in stock form) it’s as comfortable over bumps and on the highway as any MINI that’s ever been produced. 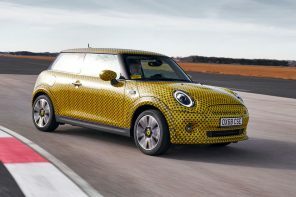 Yet on the other hand it’s the fastest and most raucous MINI ever. 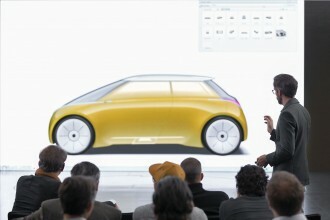 ClearlyBMW tried to create this car to be almost everything to all people. 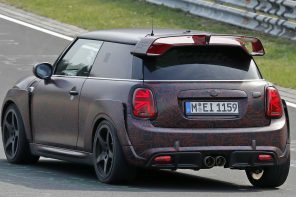 But does that make the new JCW less of a performance car? 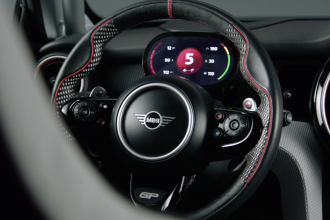 If you only look at sheer speed, the new JCW handily takes the crown. 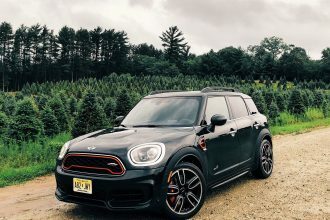 It feels every bit as fast as the 2006 JCW GP was with an enormous amount of torque (206 ft lbs of it) available almost instantly in the rev range. Its also got the power too – 211bhp of it. While the GP may have had similar numbers, it’s the new JCW’s power delivery that really sets it apart. And weight is less of an issue as well. With the new R56 chassis weighing around 20lbs less in similar spec, the GP doesn’t quite have the same advantage it used to have. So that sets the stage. 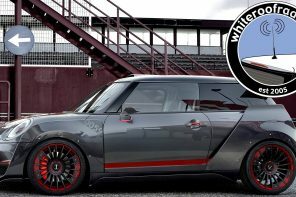 This new factory JCW MINI is the fastest MINI ever made. But is it the best? 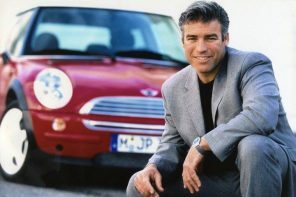 First let’s look at what BMW did right with this car – the engine. 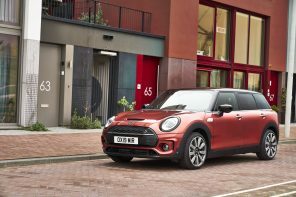 MINI has gone to great pains to compare JCW as a brand to the famed M division under the BMW brand. 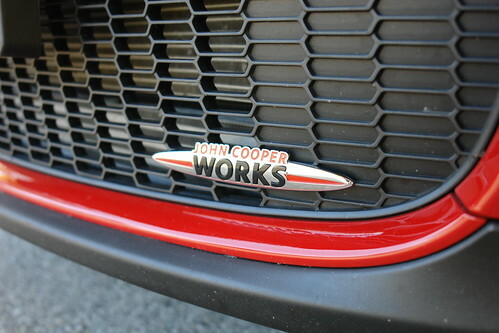 But you’ll notice that never once do they talk about who actually created the JCW powerplant. However we can finally confirm (after sitting on this information for the better part of a year) that the M Division did have a hand in the development of this new JCW engine. 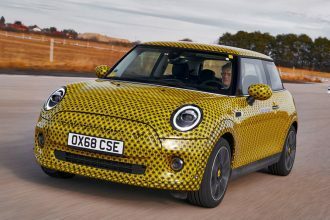 To our knowledge this is the first time that BMW’s Motorsport division has ever had a hand on any MINI development – a big deal to us and surely a big deal to JCW owners. The drivetrain received a handful of modifications by BMW (not all by the M division mind you). 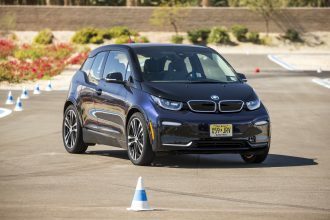 For starters the intake valves and valve seat rings were upgraded with more durable materials to withstand the increased temperature caused by the free-revving engine. The pistons (and this is where M came into the equation) have had their sidewalls reinforced and subsequently the compression ratio has been reduced to 10.0:1. The cylinder head wall thickness has increased to reduce potential stress during peak output. The engine breathes better due to the fitment of a larger air mass sensor among other additions meaning greater throughput of cold air and a reduction in the loss of throttle power. Induction is also quickened through a larger air intake. Finally a strengthened and larger twin-scroll turbocharger and exhaust manifold are fitted resulting in a pressure increase from 0.9 to 1.3 bar. 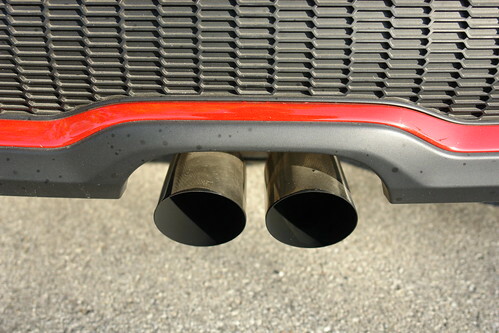 The exhaust and catalytic converter was reworked and enlarged to aid the unrestricted flow and reduction in back pressure. All this means a couple of things. Turbo lag is reduced further (already pretty non-existent) and power and torque are increased to 211 bhp and 206 ft lbs respectively. Yet the Works car is rated at the same MPG as the stock MCS while getting 132hp per litre. 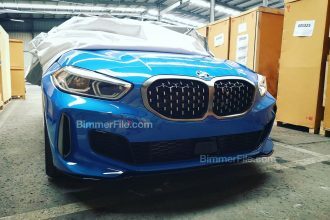 It’s so impressive that BMW has already announced that this engine will be showing up in the next generation 1 Series due out in 2012. But how does all this translate onto the road? It’s fast. I mean to say its got power everywhere and seemingly anytime you want it. 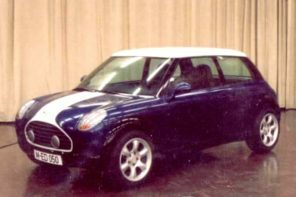 With the sport button enabled the exhaust pops and snarls on lift-off in ways that would make a stock R53 (’05 and ’06 had similar popping from the exhaust) tuck its tail between its legs. 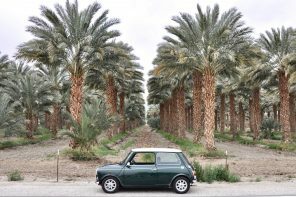 This car’s aural pleasure is rivaled by the GP when you’re talking about factory MINIs. 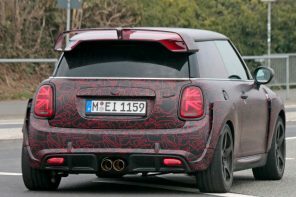 At one point I was behind the JCW (at full throttle) in my own car and literally had the hair on the back of my neck stand-up from the exhaust note. 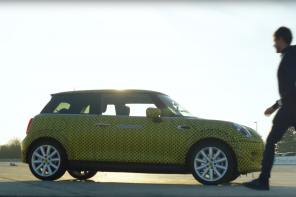 It’s simply unlike anything I’ve ever heard from a MINI. The only downside is that you only really get the full brunt of this from the outside. 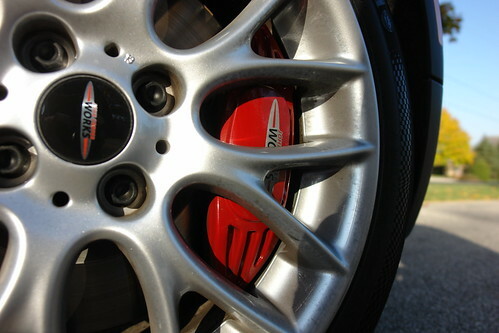 Stopping all of this are four-pot Brembo brakes on the factory JCW. 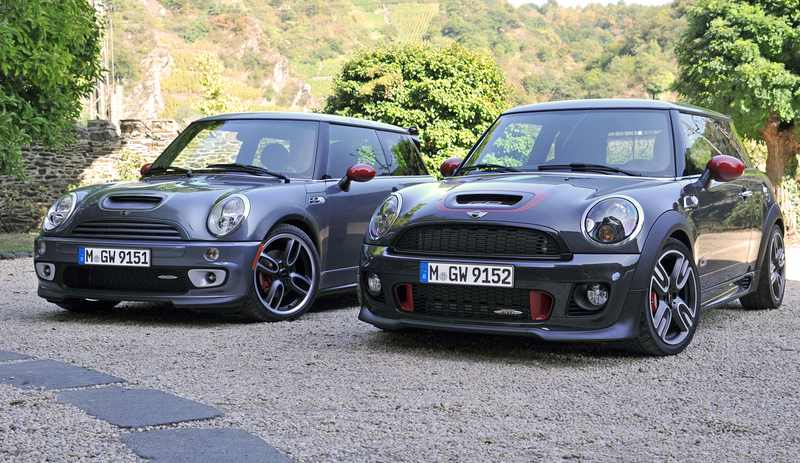 They live up to the hype in that they are better than the single-pot set-up on the stock MCS or the previous JCW GP MCS. However more than one of us who drove the JCW and an R56 MCS back to back felt that the stock braking set-up actually had more feel than the Brembos on the factory JCW. It could have been the extra 7,000 miles on them but they seems slightly easier to modulate. That said, if we had to choose one it would be the four-pot Brembos. 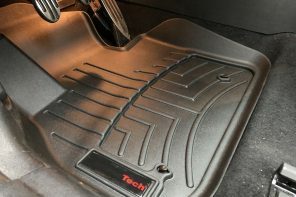 With DSC fully deactivated and the carâ€™s Electronic Differential Lock Control (EDLC) engaged, it also has an impressive poise in putting this power down to the pavement. While a mechanical limited slip may have more feel, EDLC proved to be incredibly capable in very aggressive driving (unfortunately we didn’t have a chance to test our press car on the track) and its ability to do its job almost transparently was impressive. 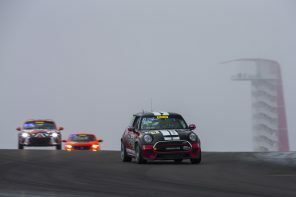 EDLC works when the car is accelerating hard out of corners or tight bends. It electronically slows the spinning inside wheel to enhance grip and ensure that all available power is transferred to the road through the wheel with greatest traction. In contrast to the way DSC and DTC manage power delivery to the wheels, EDLC does not intervene with the loss of engine power, meaning the driver has more control. However the EDLC is different enough from the feel of a traditional LSD that some might miss the mechanical quality of the latter. Limited Slip always had a feel of pulling and shooting you out of corners in a satisfying way. Think of EDLC as an F1 style traction control (before it was banned) in the way it manages power back and forth between the front wheels with such speed and intelligence that its almost mind boggling. 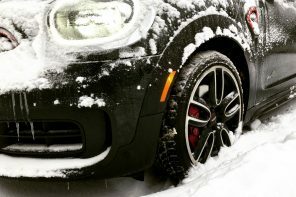 Combined with the new DTC (an exclusive Dynamic Traction Control system) the JCW manages its power as effectively as possible considering its stock suspension set-up (more on that in a sec). Yet there are several ways that the US-spec JCW disappoints. 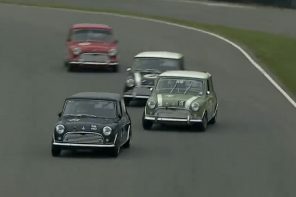 Obviously there’s the torque-steer issue that even stock R56 MCS drivers are aware of. Personally I don’t find it a huge downside to the experience. The car has lots of torque and as expected one of the usual side-effects of that is torque steer. I’d personally rather have the power and subsequently the responsibility to self-modulate and control the car myself. Then there’s the look of the car. 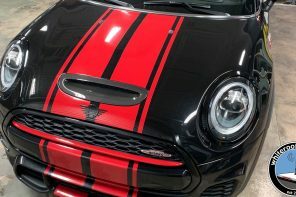 Unlike other markets, the US spec JCW doesn’t come standard with the JCW aero-kit. We’ve heard several reasons for this and surprisingly price isn’t the only one. However it’s hard to believe that this entirely different model (that commands a $6k premium) doesn’t look distinctly different from a $21K MCS. However to us the most glaring issue I found with the car was the suspension choice. 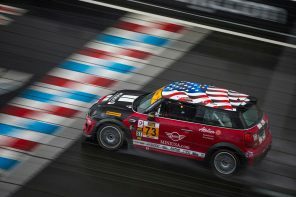 As MF readers probably all know, MINI has decided to equip the factory JCW MINI with the stock MINI suspension. While it feels like it may be a little more aggressive than the stock suspension on the standard MCS, it still feels inadequate for what should be a truly special car. 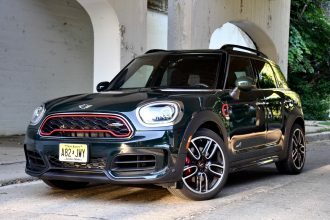 To put it plainly, if MINI expects JCW to mirror the M Division with an enthusiast-like philosophy they needed to make the JCW suspension (currently only a dealer installed accessory) standard on this car. 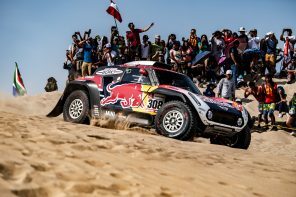 Sure it’s a little more harsh than the stock or even sport suspension but it’s one of those lines in the sand that JCW should have drawn. 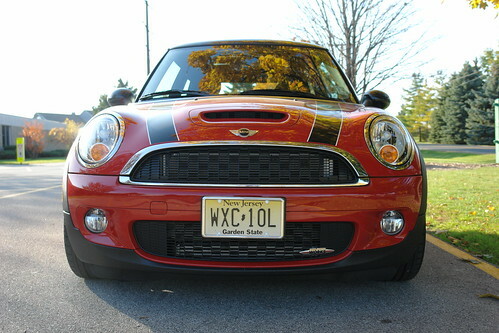 Driving this JCW and a MCS with the JCW suspension back to back really highlighted this difference. Frankly it left me wanting more out of this factory car. 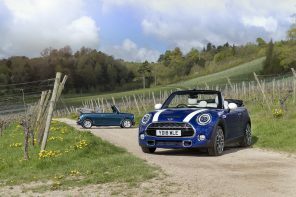 Sure there is a playful nature to the stock suspension with its lift-off oversteer. But there is simply too much lost motion and ultimately lost performance as compared to a more aggressive set-up like the JCW suspension. Price is also not a strong point of this car. While there is some argument to be made that the total package (including the brakes) makes it an honest value, it’s alarming how quickly the MSRP can rise when just a few options are added. Our press car was very lightly equipped with just cruise, color line, stripes, sunroof, auto climate control, bluetooth/iPod adapter) and still came in at $31,800. Yes that’s $100 more than a stock 2006 JCW GP without the aero-kit, JCW suspension and added cosmetic bits that made that car so special. 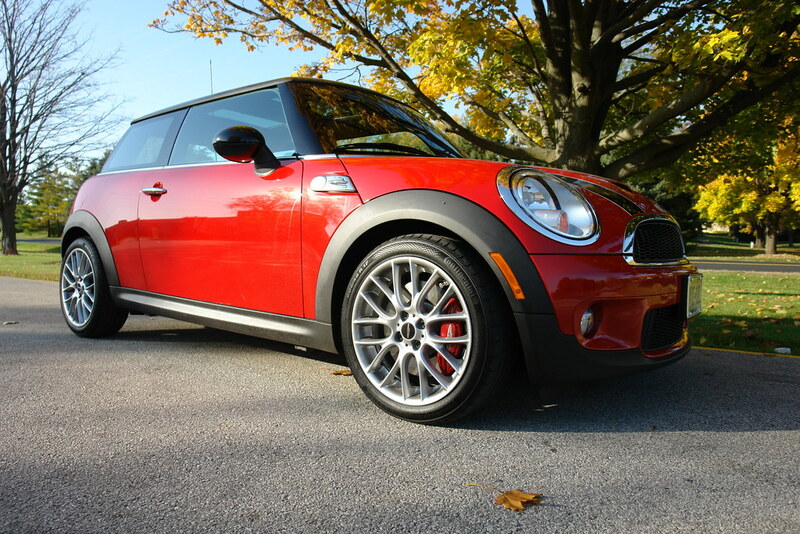 Make no mistake, the new factory JCW MINI goes and stops better than any factory MINI yet. It sounds better and has more technical wizardry as well. 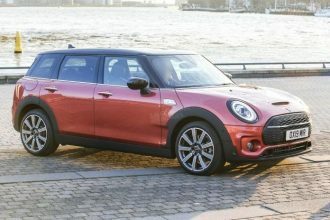 Yet I can’t help but feel that MINI missed the mark a little with this car in its stock form. The interior and exterior styling (on the US Spec at least) doesn’t offer any of the distinction that an M Car would much less what the GP had. 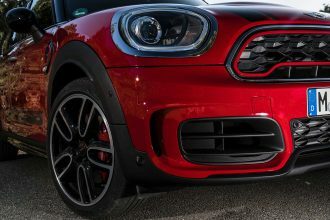 But worse in the eyes of the enthusiast, the factory JCW isn’t created with an eye towards the total package because of the lack of a more aggressive suspension. 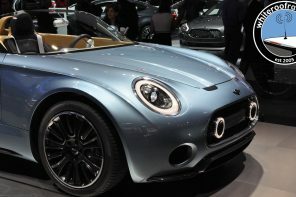 So is the new JCW worth the price of admission? Our press car came lightly equipped at $31,800 – again $100 more than a GP. But is this car equivilent to a GP? In some ways yes. It’s easily as fast, sounds arguably as good and stops better. It also has less drawbacks with four seats and a real stereo. In the end it’s all down to personal preference. 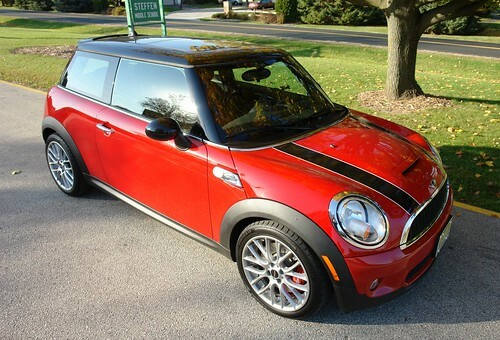 If you want the fastest MINI and don’t mind dropping $6,000 plus to get it, the new JCW is your car. However for me I wanted to love this car not only for the way it made every drive feel special but also for the sacrifices it demands from the driver – a la a true BMW M car. 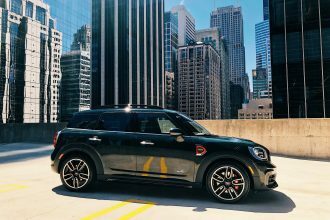 While it does have many of the attributes you’d hope for, it just never really moved me like the GP or even my previous JCW accessory equipped MINI. In considering the JCW, you have to ask yourself what you see as important in a MINI. On one hand you have slightly used GPs floating around. On the other hand you have the stock MCS. 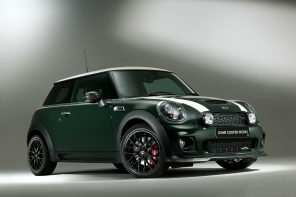 Then you have the MCS with the JCW engine and suspension kits. 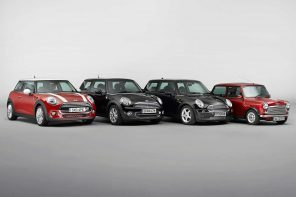 It’s truly a tough decision and I’m not sure that the factory JCW is truly the car many of us were waiting for. 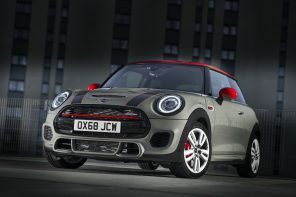 While there’s little question that the new JCW will be the most sccessful JCW car yet, it just isn’t quite the full package it could have been in stock form. 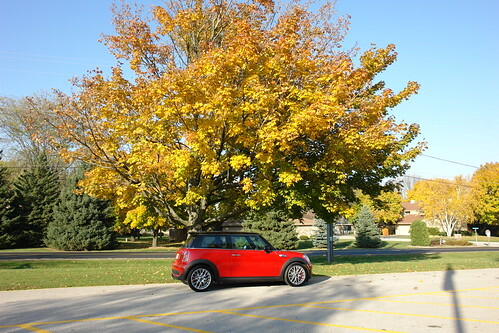 Interested in Certified Pre-Owned MINIs?